What is better than homemade meatballs? Having another batch on hand, so no one is fighting for the last one. The combination of turkey, Prosciutto di Parma, cheese and Italian spices creates the traditional flavor profile, and the contrast of flavors in these prosciutto balls. They will have everyone reaching for more. Whip up one batch of these meatballs for Sunday supper, and then freeze another batch for a busy night. For two different meal ideas, spoon turkey prosciutto balls into bread rolls one day and over your favorite pasta the next! Tear bread into small pieces. In a small bowl combine bread and milk. Let stand 10 minutes; drain well. Place prosciutto in a food processor. Pulse until prosciutto is finely chopped. Remove and place into a large bowl. Stir in bread and remaining ingredients until just combined. Chill 30 minutes. Roll mixture into 1-inch meatballs. Place on a foil-lined baking sheet. Lightly coat foil with olive oil. Place meatballs on foil. Bake about 25 minutes, turning once, until cooked through and lightly browned. 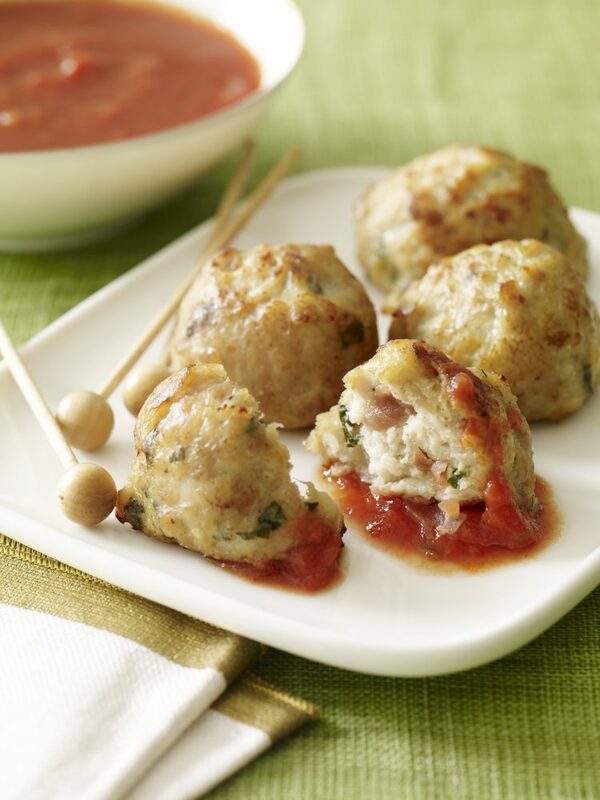 Serve meatballs individually as appetizer with marinara sauce for dipping.